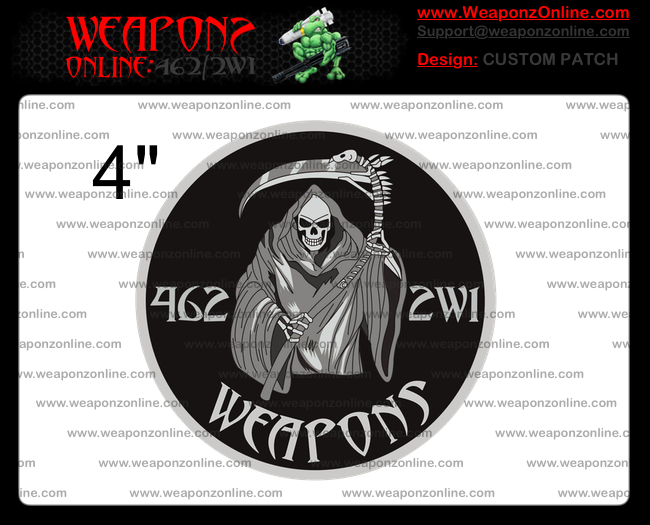 If you have a design you would like to make into your own custom patch, or even just a detailed description of what you're looking for, we can get your artwork created and your patch made for you. If you live in the U.S. or at an APO address, you get free shipping! Fill out form below, we will give you a quote for your request. If you decide to proceed, we will create an artwork preview like pictured above. After any design changes you would like are complete and the design is approved, we will set up a product page. Placing your orders will require a "Custom/Bulk Membership", once you make the account, we will approve it and that will unlock the quoted pricing on your patches product page. We will provide a high-resolution picture of the sample patch to verify there are no defects. if it matches your artwork design, no changes can be made to the design itself. After you approve of your sample, mass production will take a little bit more time, but we will notify you upon them being shipped your way!